Cincinnati, Temple and Connecticut of the American Athletic Conference all face crucial games on Thursday that will have a big impact on the bubble field for the NCAA tournament. All the bubble eyes in America are focused on, appropriately enough, the American Athletic Conference on Thursday night. It’s a comparatively light evening on the bubble, with no true bubble teams in action in any of the other conferences that figure to get multiple bids to the tournament. Three of the AAC’s four—and perhaps four of the five, if things really go off the rails next week—potential tournament teams are in action, however, and all can further solidify their at-large candidacy to varying degrees. This is a game Temple absolutely has to win. We have the Owls as one of the our First Four Out, and a home loss to a Memphis team that ranks 157th in RPI would be a disaster. At the same time, a win does nothing to bolster their resume. The best they can do is to avoid what would be a very damaging loss. It won’t be easy, either. The Tigers already beat Temple earlier this year, and they also have wins over Tulsa, Ohio State and Cincinnati. At 16-13 overall and 7-9 in league play, Josh Pastner’s team won’t be going dancing unless it wins the AAC tournament, but it can deal a significant blow to the Owls’ chances on Thursday. Cincinnati is our last at-large team in our bracket that will avoid the First Four, so it has very little wiggle room, and this is a dangerous game for the Bearcats. Houston has a couple of top-50 wins and also boasts road victories over Connecticut and Temple. Coach Kelvin Sampson actually has the Cougars (21-8, 11-6; RPI: 77, SOS: 134; kenpom.com: 53) on the fringes of the at-large picture, and they would have to be seriously considered with a win on Thursday. On the one hand, that’s bad news for the Bearcats because a win won’t be easy to get. On the other, it’s good because this provides them with a legitimate resume-building opportunity. Despite a 10-6 conference record, UConn appears to be the safest of the AAC at-large contenders. The Huskies are 2-1 against the top 25 and 3-2 against the top 50, which differentiates them from Cincinnati, Temple and Tulsa. A win at 24th-ranked SMU would almost certainly have them safe on Selection Sunday. Their seed ceiling might be a No. 8, but they’ll be able to breathe a whole lot easier if they end up sweeping the Mustangs, who are ineligible for the tournament because of NCAA violations. Sterling Gibbs is trying to point UConn toward the NCAA tournament after a one-year absence. Now on to the bubble. Teams are listed in alphabetical order. There’s no way to be optimistic about Alabama’s 62-61 home loss to Arkansas on Wednesday. The Razorbacks (16-14, 9-8) rank 125th in RPI, and the Crimson Tide couldn’t afford to lose that game. Having said that, the only way to justify putting, say, VCU or Tulsa in the field over Alabama at this point is based on sheer won-loss record. The Tide still have four top-50 wins, more than the Rams and Golden Hurricane combined, and those teams also have their own share of sub-100 losses. Alabama is hanging on by a thread, but they are hanging on. Path to safety: The Tide must win in Athens against the 15-12 Bulldogs. After that Alabama will need to advance to the SEC championship game and pick up at least two resume-building wins (think South Carolina, Vanderbilt, Texas A&M and Kentucky) to feel safe. Anything short of that will leave them sweating on Selection Sunday. 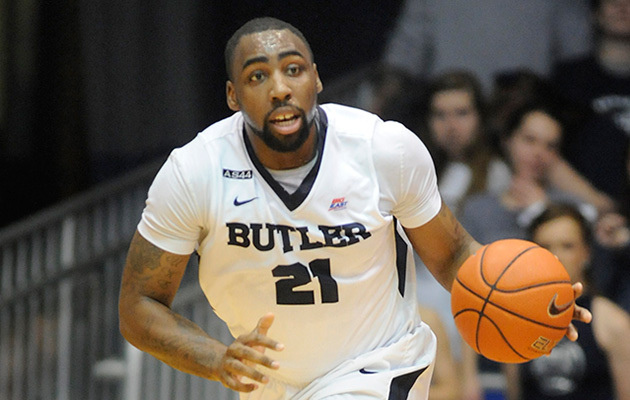 The Bulldogs made a statement on Wednesday by upending Seton Hall, 85-78, to finish off a season sweep of the Pirates. Butler has mostly built its resume by avoiding bad losses, with just two defeats coming to teams outside the RPI top 50. Now that they have two wins over a tourney lock like Seton Hall to go along with a non-conference victory against Purdue, the Bulldogs can start breathing a bit easier. Path to safety: Beat Marquette and advance to the Big East tournament championship game. That would likely give Butler another win against Seton Hall and one over a league heavyweight (Villanova or Xavier), without adding a bad loss to its resume. The Bulldogs can definitely get in without finishing that strongly, but that’s the only way they’ll wake up on Selection Sunday feeling certain about their at-large chances. Cincinnati swept Connecticut, won at VCU and beat Tulsa at home this season. Those are the Bearcats’ four best wins of the year. They’re 0­–3 against the RPI top 25 and just 2–4 against the top 50. In fact, Cincinnati is under .500 against every RPI subset the committee will examine. There’s not much wiggle room for this team. We currently have the Bearcats ticketed for the First Four, and one more loss could send them not to Dayton in the opening week of the NCAA tournament, but to the NIT. Thursday’s trip to Houston is a sneakily tough game that could be their death knell. Path to safety: Win at least one game this week and get to the AAC tournament championship game. There’s probably a path with fewer roadblocks, but not another one that will keep Cincinnati's collective heart rate in check on Selection Sunday. If the Bearcats lose to Houston and SMU this week, it could very well take an AAC tournament championship for Mick Cronin’s bunch to get in the field. On Tuesday the Tigers had an opportunity they desperately needed to capitalize on, a home game against fourth-ranked Virginia, but they just couldn’t close the deal. Clemson had a one-point lead with a bit more than six minutes left, but the Cavaliers used a 6-0 run to grab a lead they would never relinquish. The Tigers have three great wins—against Louisville, Duke and Miami, which came in succession in mid-January—that are keeping them alive, but their path to an at-large bid remains full of holes. Path to the dance: At the absolute worst, Clemson is going to have to advance to the ACC tournament championship game. That would likely leave the Tigers with at least five top-25 wins on Selection Sunday. That could be enough, but they still might need some help from their fellow bubble teams. The traditional indicators that are working for Oregon State are working against Connecticut. Despite the Huskies' pedestrian RPI rank and strength of schedule, they are 2–1 against the RPI top 25, 3–2 against the top 50 and 6–9 against the top 100, without a sub-100 loss on their résumé. More often than not, that adds up to an at-large bid. Still, a home loss on Sunday to a Houston team with an RPI barely inside the top 80 was not what UConn needed. That defeat didn’t knock the Huskies out of the field of 68, but it set them up to potentially fall out with one more misstep. Path to safety: Win out in the regular season. If UConn beats SMU in Dallas and then takes care of business against UCF, it shouldn’t much matter what the Huskies do in the AAC tournament, especially since their first game would likely be against a tournament-worthy foe. If they also win that game, they won't have anything to worry about on Selection Sunday. But a loss to SMU on Thursday would make a deep AAC tournament run much more important. It wasn’t that long ago when Florida appeared to be heading to a stress-free Selection Sunday. Since then, the Gators have lost four of five games, with their last meaningful win coming on Jan. 30 against West Virginia. Perhaps most damning is their 2-10 record against the RPI top 50 after losing rather convincingly to Kentucky, 89-79, on Tuesday. In essence, the one thing they’ve showed the Selection Committee is that they cannot regularly beat tournament-quality competition. You could certainly make an RPI- and SOS-based argument for putting Florida in the field ahead of conference rival Alabama, but the Gators will have no one to blame but themselves if they don’t get one of the final spots in the Big Dance. Path to the dance: Beating 10-20 Missouri won’t do anything for Florida’s tournament hopes. The Gators are going to have to do some serious damage in the SEC tournament, likely needing to appear in the championship game at an absolute minimum. The Colonials cruised past George Mason on Tuesday, a result that won't have much impact on its tourney hopes. What should is their one great win (over Virginia) and one very good win (against Seton Hall). The win against the Cavaliers may have been a long time ago—Nov. 16, in just the team's second game of the season—but it's one no one can scrub from their resume. Two weeks after that upset, GW beat the Pirates, a team that should be locked into an at-large bid. On the flip side, George Washington has lost to DePaul and Saint Louis, a pair of teams that could end the season outside the top 200 in the RPI. Still, those wins over Virginia and Seton Hall, as well as a Feb. 6 road win at VCU, give the Colonials a puncher’s chance to get one of the last at-large spots in the field of 68. It is, however, going to require a deep run in the A-10 tournament for them to feel secure. Path to the dance: Beating Davidson is a must. At 17-10 and 9-7 in the Atlantic 10, the Wildcats aren’t a bad team, but they will not be going dancing unless they can find some more eligibility for Steph Curry, and GW simply can’t afford to lose to a non-tournament team right now. From there the Colonials will need to, at the very least, move on to the conference tournament championship game, with two wins in Brooklyn over the likes of tourney hopefuls Saint Joseph’s, Dayton, VCU and St. Bonaventure. The issue for GW’s at-large candidacy is that beating either of the latter two teams, one of which would likely happen in the A-10 quarterfinals, may not move the needle all that much. With the regular season over, there's not much the Bulldogs can do to secure an at-large berth. That’s what happens when you don’t win a top-50 game all season and go just 3–7 against the top 100. All the bad-loss avoidance in the world doesn’t mean a thing when your three best wins come against Connecticut, Washington and BYU. Of course, they can still get in the field by securing the West Coast Conference's automatic bid. Anything short of that, however, and Gonazaga's streak of NCAA tournament bids will likely end at 17. Path to the dance: Win the WCC tournament. When the Tigers beat then-No. 15 Texas A&M just two weeks ago in Baton Rouge, it appeared we’d all be treated to seeing freshman superstar Ben Simmons in the NCAA tournament in what will almost certainly be his lone collegiate season. However, LSU followed that impressive win with three straight losses, to Alabama (at home), Tennessee and Arkansas. The latter two teams have no hope of securing an at-large bid, while the Crimson Tide are one of the last teams in our current field of 68. Those are all damaging defeats. The Tigers are 2-2 against the RPI top 25 and 5-5 against the top 50, but they have six losses to teams ranked between 101 and 150. Perhaps the only thing LSU has going for itself is a trip to Kentucky on Saturday, which gives the Tigers a chance for the marquee win they desperately need. Path to the dance: LSU barely avoided what would have been a bubble-bursting loss on Tuesday. A dreadful Missouri team cut a 22-point halftime deficit to three before Simmons and company held on for an 80-71 victory in their home finale. Now Johnny Jones' team must beat the Wildcats in Lexington and probably get at least one more meaningful win in the SEC tournament to at least force the committee to keep the Tigers in mind. A second meaningful win in the conference tournament would likely put them over the hump. The Wolverines have lost three of their last four games, all of which were on the road, and two of which came against teams we have locked into at-large berths (Maryland and Wisconsin). There’s not really a bad loss on their résumé, with their only sub-50 defeats coming to Connecticut on a neutral floor and Ohio State in Columbus. If they follow that script over the next two weeks, they will be in the field. If they don’t, however, they could be doomed by their 3–10 record against the RPI top 100. Senior guard Caris LeVert missing the rest of the season with a lower leg injury will not help Michigan. Path to safety: Beat the Hawkeyes, or win one game in the conference tournament. That would give the Wolverines either a fourth top-25 win, or preclude them from suffering a bad loss. Either outcome should earn Michigan a trip to the dance. Remember, it already has wins over Texas, Maryland and Purdue. Few bubble teams can boast a trio of victories that impressive. Thanks to the unbalanced schedule in the Big Ten, Ohio State got to 10 wins in the league without picking up a single one against the conference’s six sure-fire NCAA tournament teams. It finally took down one of those teams with a home win over Iowa last weekend. That was the Buckeyes' second top-25 win of the season, joining an earlier, unlikely triumph over Kentucky in Brooklyn. Unfortunately, they still only have as many top-50 wins (three) as they do sub-100 losses. What Ohio State does have going for it, however, is its conference. Indeed, the Buckeyes have one more chance to score a big win in the regular season when they visit Michigan State this weekend, and they will get at least one opportunity in the Big Ten tournament to add to their résumé, so long as they can beat one of the conference’s bottom-four teams in their first-round game. Path to the dance: Beat the Spartans this weekend, and then win two games in the conference tournament. That second game will almost certainly be against one of Maryland, Iowa or Wisconsin, meaning Ohio State would have as many as four top-25 wins in this scenario. It might not be enough, but it would give the Buckeyes a chance at one of the last four spots in the field. Despite getting drubbed by USC in Los Angeles on Thursday—the Beavers fell behind by 23 at the half and ultimately lost 81-70—Oregon State is in good position to make the field of 68. The traditional indicators of RPI and strength of schedule will be their friend, as will the improving profiles of Oregon, Utah and California, all of which the Beavers have beaten this season. Oregon State is 3-4 against the RPI top 25, 6-8 against the top 50 and 9-11 against the top 100, without a bad loss to its name. It’s not an overwhelmingly strong resume, but it’s one that definitely suggests the school will be playing in the NCAA tournament for the first time since 1990. Path to safety: Advance to the Pac-12 tournament semifinals, which would almost certainly include a win over one of the conference’s sure-fire at-large teams. Pitt has been in the field of 68 in every Bracket Watch of the season, but it hasn’t really felt safe since losing two of three to North Carolina State and Clemson at the end of January. Wednesday’s 65-61 loss at Virginia Tech, a possible NIT team, hurt, but it wasn’t enough to knock the Panthers out of the tournament. It did, however, push them down a seed line. They are just 1-6 against the RPI top 25 and 2-6 against the top 50, but they don’t have any losses outside the top 150. Pitt still looks like a good bet for inclusion in the field, especially when you consider how soft the bubble is elsewhere. Path to safety: Two more wins should do the trick, one of which could come in their regular season finale in Atlanta. The Panthers won’t get a chance to truly enhance their resume until their second game of the ACC tournament, but they’ve done enough to this point that they likely won’t need to add any big wins to get an at-large invite. Providence got a much-needed win, or, perhaps more accurately, avoided what would have been a very damaging loss by holding off Creighton, 70-66, Wednesday night. They definitely still retain an inside track among the bubble teams, but they’re just 1-4 against the RPI top 25 and 2-6 against the top 50, which is borderline shocking for a team with two talents like Kris Dunn and Ben Bentil. The fact that Providence was swept by Marquette, which doesn’t have a single other league win against a team above it in the conference standings, will forever be one of the biggest mysteries of the of the 2015-16 college basketball season. Path to safety: Take care of business against St. John’s (8-22 overall, 1-16 in the Big East) this weekend, and then advance to the semifinals of the conference tournament. Doing so would almost certainly mean adding a win over Butler, Seton Hall or Creighton, and a loss to Villanova or Xavier to the resume. That should be good enough. There’s really no way to keep Saint Mary’s out of the bracket picture right now. The Gaels shared the regular season WCC title with Gonzaga, but swept the Bulldogs, which gives them pole position heading into the conference tournament. Still, neither team has a top-50 win on their résumé. St. Mary's did go 5–2 against the top 100, but none of those wins was against a team with a realistic shot at an at-large bid. Translation: Just one team from the WCC will go dancing this year. Path to safety: Win the WCC tournament. 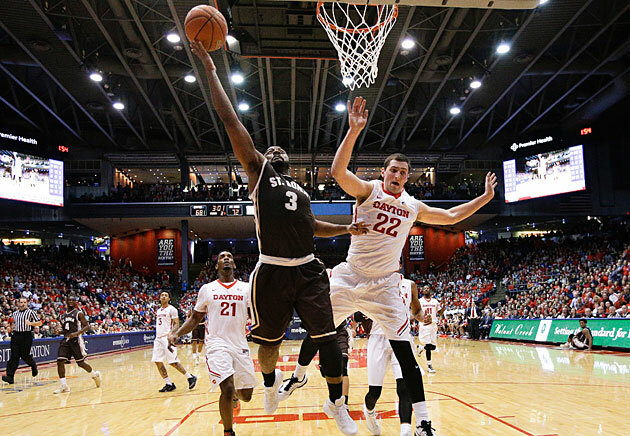 Marcus Posley has St. Bonaventure in line for a rare NCAA tournament bid. The Bonnies have done great work to get into the at-large discussion, something that seemed highly unlikely at the beginning of the season considering they’ve made just one NCAA tournament in the past 15 years. They finally put themselves over the top in our bracket by beating Saint Joseph’s 98-90 on Wednesday thanks to 47 points, the most by a Division I player this season, from senior guard Marcus Posley. That made St. Bonaventure 3-2 against the top 50, with two of those wins coming on the road (at Dayton, at Saint Joseph’s). While we still have Alabama in the field, the Bonnies are now ahead of them in the pecking order. Path to the safety: St. Bonaventure can’t afford a loss against the 10-19 Billikens, so it absolutely must cap the regular season with a win. That puts the Bonnies in an identical position to VCU, although they’re a nose ahead of the Rams in our view, and there may not be room in the field of 68 for both of them. Those teams may yet meet in the A-10 semifinals, which would likely end up being a de facto play-in game. The Orange have nine wins in one of the best conferences in the country, which will guarantee them no worse than a .500 league record, but it won't guarantee them an at-large bid. Just two of their wins (at Duke, vs. Notre Dame) came against tourney locks. At this point, Syracuse can’t afford an ugly loss, but it also probably needs one more strong win to impress the committee. The Orange missed a chance to get one on Monday night in Chapel Hill, falling to North Carolina 75-70, and they are now 4–8 against the RPI top 50. Path to safety: Syracuse probably needs to go on a run in the ACC tournament to feel comfortable on Selection Sunday. It absolutely needs to beat Florida State in Saturday's regular season finale. The last thing the Orange want to do is go into Selection Sunday off a conference tourney loss to a team like Virginia Tech or North Carolina State, their likely opening round opponents in Washington, D.C. The AAC is going to be one of the most interesting conferences over the next two weeks, with four teams that all have “at-large bid” and “NIT bound” in their possible range of outcomes. The Owls are one of those four teams. It’s awfully hard to ignore the fact that they went 6-1 against SMU, Cincinnati, Connecticut and Tulsa this season, with sweeps of the Huskies and Bearcats. Despite that, we’ve repeatedly seen the committee favor a team's overall resume more than than head-to-head results, and Temple’s doesn’t quite measure up to those of Cincinnati and Connecticut. It has just one top-40 win, and two losses outside the top 150. Path to safety: Avoid bad losses. The Owls need to win out to close the regular season, which would also guarantee them a share of the regular season conference title, give them the No. 1 seed in the conference tournament and ensure a date with one of the four conference doormats in their opening game in Orlando. In other words, if Temple wins its next three games, it could vault in front of one of the teams holding onto one of the final at-large spots. Tulsa looked ready to make a move last week, but lost at Memphis after scoring a big win over Temple. The Golden Hurricane are 1–1 against the top 25, which simply reflects their season split with SMU. It’s hard to imagine all four potential at-large teams in this conference making the dance, even if they’re the four teams that reach the conference tournament semifinals. That makes advancing to the AAC championship paramount for all four. Path to safety: The only way Tulsa will be absolutely safe is if it wins the AAC’s automatic bid. Still, if the Golden Hurricane they take care of South Florida this weekend and then advance to the conference tournament championship, they’ll at least have the inside track at one of the two at-large bids this conference is likely to get. Vanderbilt had been one of the nation’s most disappointing teams all season, but it has finally started to resemble the club many people thought it would be in the preseason, when the Commodores opened the year ranked No. 18 in the AP poll. Sitting at 15-11 just two weeks ago, Vanderbilt has since won four straight games, including Tuesday night's 86-69 smackdown of Tennessee, which comes on the heels of a week in which the Commodores trounced Florida in Gainesville and then beat Kentucky by 12 in Nashville. They’re still just 2-6 against the RPI top 25 and 5-7 against the top 50, with one more big opportunity remaining in the regular season against Texas A&M, but they've done enough to move from up from one of the last four teams in our projected field to a slightly more secure No. 10 seed. When Vanderbilt is at its best, it is no worse than the third-best team in this conference, behind only the Wildcats and Aggies. If the Commodores get in the Big Dance, they will be dangerous. Path to safety: Beat the Aggies or avoid bad losses. Vandy has too many strikes against it—losses to Mississippi, Arkansas and Mississippi State stand out—to climb much higher up the bracket, but as long as it doesn't lose to a bottom-half team in the SEC tournament,it will be headed back to the NCAA tourney for the first time since 2012. The Rams got a win they needed against Davidson on Wednesday, which made them one of our last four at-large teams. Look beyond their unquestionably gaudy record, however, and you’ll see that they have just two wins over tournament teams (Saint Joseph’s and St. Bonaventure), which matches the number of losses they have to teams outside the top 170 in RPI. That is not a good look. VCU has been hurt by the fact that it hasn’t a chance to play Dayton yet, but it will finally get that opportunity this weekend. Path to safety: Beat the Flyers. If the Rams do that, they’ll guarantee themselves at least a share of the A-10 regular season title. They’d also move in front of Alabama, even if the Crimson Tide wins at Georgia this weekend. From there VCU can secure an NCAA bid by reaching the A-10 conference tournament championship game. Washington wrapped up its regular season with a 99-91 home win over Washington State, but that doesn’t change the fact that the wheels fell off in the second half of the Pac-12 regular season. Ten games into their conference season, the Huskies were 7-3 with a sweep of UCLA and individual wins over USC and Colorado. They then lost six of their last eight games, falling to all of the conference’s certain or likely tourney teams, other than the Trojans, during the stretch. They remain on the at-large radar, but they’ll need a ton of help from the teams ahead of them if they’re going to get into the dance without winning the Pac-12 tournament. Path to safety: Short of winning the league tournament in Las Vegas, the Huskies will need to beat two of Oregon, Utah, California and Arizona en route to losing in the conference championship game. Even in that scenario, they’d need a handful of bubble teams to falter down the stretch. The Shockers won their final five games of the regular season, cruising to their second straight MVC regular season championship. Having said that, they don’t have a realistic path to an at-large spot. They may have dominated the MVC and they certainly have a name brand, but that won’t obscure the fact that they had one top-50 win this year, albeit a very strong one over Utah. Their first game in the MVC tournament will be against the winner of Loyola-Chicago and Bradley. If they win that game, they’ll take on the winner of Northern Iowa and Southern Illinois in the semifinals. A loss in any of those games would almost certainly send them to the NIT. Even if they advance to the conference championship game only to lose to a solid Evansville or Illinois State team, there simply won’t be much meat on their at-large résumé. Next game: MVC quarterfinals vs. Loyola-Chicago/Bradley winner. Path to safety: Win the Missouri Valley Conference tournament title.